A beer, brewery and travel guide for the Belgian city of Antwerp. Information about things to do, visit and where eat, drink beer and stay in Antwerp. Beer, travel and tourism guide for those visiting Bastogne in Belgium. Information about where to eat, drink, stay and visit in Bastogne. Beer, travel and tourism guide for the picturesque city of Bouillon in the Ardennes. Things to see, do, where to stay, eat and drink when visiting Bouillon. Beer, travel and tourist Information about the historic Belgian city of Bruges (Brugge). Things to do, where to stay, eat and drink when visiting Bruges. A beer, travel and tourist guide for the Belgian capital city of Brussels. What to do, visit, where to eat, drink Belgian beer and stay when you visit Brussels. Beer, travel and tourism guide for the picturesque city of Durbuy in the Ardennes. Things to see, do, where to stay, eat and drink when visiting Durbuy. Beer, travel and tourism guide for visitors to Genk in Limburg. Information about where to eat, drink beer and visit in and around Genk. A beer, travel and tourism guide for the Belgian city of Ghent (Gent). Where to stay, visit, eat and things to do when visiting Ghent. Beer, travel and tourism guide for visitors to Hasselt in Limburg. Information about where to eat, drink beer and visit in and around Hasselt. Beer, travel and tourism guide for those visiting Kortrijk in Belgium. Information about where to eat, drink, stay and visit in Kortrijk. A brewery, beer, travel and tourism guide about Leuven in Belgium. Information on tourist attractions, where to shop, eat, stay and drink beer in Leuven. A beer and travel guide for visitors going to Liège in Belgium. Details of tourist attractions, where to eat, sleep and drink when visiting Liège..
A beer, tourism and travel guide for the city of Mechelen in Belgium. Information about things to do, visit, drink, eat and where to stay in Mechelen. A beer, travel and tourism visitors guide to Namur. Details of tourist attractions, where to eat, sleep and drink when visiting Namur. Travel and beer guide for the Belgian coastal city of Nieuwpoort. Information about where to eat, drink, stay and things to do when visiting Nieuwpoort. Travel and beer guide for the Belgian coastal city of Ostend (Oostende). Information about where to eat, drink, stay and things to do when visiting Ostend. Beer and travel guide for anyone visiting Poperinge, the hops capital of Belgium. Where to stay, visit, eat and drink in or close to Poperinge. Beer, travel and tourism guide for visitors to Sint-Truiden in Limburg. Information about where to eat, drink beer and visit in and around Sint-Truiden. Beer, travel and tourism guide for visitors to Tongeren in Limburg. Information about where to eat, drink beer and visit in and around Tongeren. A beer, travel and tourist guide for visitors to the Belgian city of Ypres (Ieper). Information about where to eat, stay and visit in Ypres. Even the cobbles of Belgium’s cities ooze history. Our flat little country – although we can boast of a few hills in the south - has managed to develop quickly thanks to its favourable geographical position and fertile soil. The Romans established settlements along their trading routes, traces of which can be found in various cities. 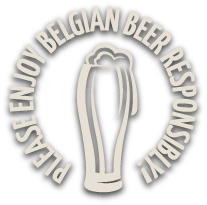 So, we invite you to get to know our country like a local does and use our detailed Belgium travel guide, or perhaps we should say beer travel guide, it is Belgium after all. Belgium takes great pride in her historic towns and cities. Antwerp pairs the charms of a port city with those of a historic city centre, contemporary architecture, lively cultural scene and a scintillating nightlife. Its many trump cards include the diamond trade, design, fashion, its Central Station, the many museums and galleries and the De Koninck city brewery. Brussels will amaze you with its imposing Grand Marché and its City Hall in flamboyant gothic. Its museums are oozing with culture and antique markets proliferate between Grote Zavel and Vossenplein square. Chocoholics and gourmets need look no further. Lovers of architecture will find plenty to admire in the many Art Nouveau buildings and for fans of comic strips there are the cartoon walls and the comic strip museum. Beer tip: visit a ‘geuze café’ and order a lambic, oude geuze, faro or kriek. Bruges is picture-postcard pretty and truly lives up to the name of Venice of the North . Wander around the beguinage and step into a different world. Bruges’ main attractions include a splendid market square, imposing belfry, canals, almshouses, city gates and a variety of museums located in historic buildings. Don’t forget to pay a visit to the Halve Maan brewery. Ghent displays her medieval charms in the Graslei and Korenlei and in the Patershol quarter opposite the Gravenkasteel (the ‘Castle of the Counts’). This city has plenty on offer to satisfy even the most demanding lover of culture. The Van Eyck brothers painted the Adoration of the Lamb of God that takes pride of place in the Church of St. Bavo. In July, when the ‘Gentse Feesten’ open air festival takes place, during which Ghent is bursting at the seams. The ‘Fiery City’ of Liège has its own particular history. For centuries the Palace of the Prince-Bishops was the seat of the prince-bishopric that extended as far as Dinant and Maastricht. The unique step-stairway of Montagne de Bueren leads towards the site of the former citadel high above the city. Down below, on the banks of the River Meuse, await the Perron, the symbol of liberty, opposite the City Hall, the handsome House of Curtius in renaissance style, now housing the city museum and the Church of St. Bartholomew with its baptismal font by Renier de Huy. Board a train to the future from the brand new railway station designed by Santiago Calatrava. Leuven is a student city and the birthplace of the world’s largest brewery AB Inbev, so is indeed a place to beer. The most eye-catching attraction is the gothic City Hall with its façade displaying no fewer than 236 statues and the two beguinages, one large, one small and intimate. Art lovers should make their way to the M-Museum for its collection of old masters (including Hans Memling) and contemporary art. In Mechelen you live and breathe the Middle Ages. At Grote Markt you will find the imposing St. Rumbold’s Cathedral and the City Hall, composed of the Palace of the High Council (Paleis van de Grote Raad), the belfry and the linen hall. Stroll at your leisure through the two beguinages and along the banks of the Dijle. Ypres (Ieper) was razed to the ground during the First World War. The ‘Great War’ is brought to life in the museum of Flanders Fields. At the Menin Gate, the Last Post is sounded every evening to honour the victims of war. Poperinge brings to mind Belgian hops and of course the Hop Museum, while Talbot House takes you back to the First World War. Rivers add to the grandeur of a city. Kortrijk is another example, with its Broel Towers proudly standing on a bridge across the Leie. Admire its splendid City Hall, the belfry and take a stroll through the picturesque beguinage. Tongeren dates back to Roman times, a period depicted in its Gallo-Roman museum. The 12th century cloisters of the imposing basilica bear rare witness to Roman architecture. Its quiet beguinage breathes the atmosphere of the Middle Ages. Every Sunday morning the antiques market takes over entire streets and squares. Hasselt has the flavour of its own ‘Hasseltse jenever’, with a prominent presence in the National Jenever Museum, and its speculaas biscuits, another specialty of this city. Not far away you will discover the former Herkenrode abbey with its own abbey beer. We are now making our way to the coast and of course to taste some Belgian North Sea Beer. The city of Ostend proudly bears the title of ‘Queen of Seaside Resorts’. Its former grandeur is brought back to life by the Thermae Palace and the Venetian Galleries. Gourmets make their way to the fishing port to buy their fresh catch of the day: fish and shrimps. If you have an interest in art, you will undoubtedly wash up at the Mu.ZEE. Become familiar with the work of the painter James Ensor, known for his alienating masks, in the Ensor House. Meanwhile nearby Nieuwpoort oozes the charm of a seaside fishing port. Southern Belgium has the fragrance of the forests of the Ardennes. Bastogne became known for the ‘Battle of the Bulge’, fought at the end of the Second World War. Discover its history in the Bastogne War Museum and the Memorial de Mardasson. On the beer front we recommend Brasserie de Bastogne and Brasserie d’Achouffe. Nestled in a curve of the River Semois, the location of the small city of Bouillon is no less than idyllic. High above the city towers a medieval stronghold, once held by the crusader Godfrey of Bouillon. Not far from here you will find the Trappist abbey of Orval. The city of Namur (Namen) is dominated by the citadel. Its historic centre is full of charm with its statues, fountains, ancient squares with characteristic rows of houses, churches… Pay a visit to the Félicien Rops Museum to acquaint yourself with the work of this controversial 19th century artist painter and illustrator. Durbuy on the River Ourthe claims to be ‘the smallest city in the world’ but this pocket-sized city is well worth discovering.